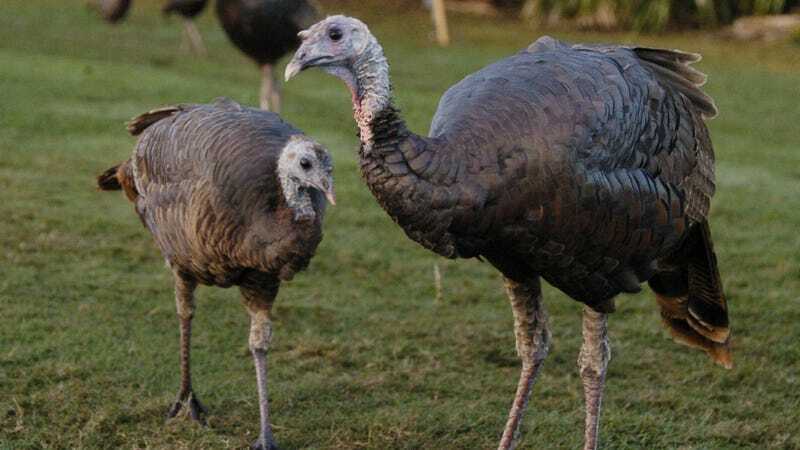 A buncha wild turkeys pestered a mail carrier in New Jersey earlier this week by manically threatening him with their presence as he sat in his truck. The incident (more like harassment), which happened on Tuesday, involved a carrier who was subbing for the day. When officers arrived, they scared the turkeys away by walking toward them. The mail carrier was not injured during the incident, but mail service was briefly held up to three homes on the street. The mail eventually got delivered. The turkey culprits laughed about the incident later while recounting the story to their friends.